I like to dream up various scenarios in my head about how SHTF might play out. Most of it has nothing to do with reality, but it’s fun to think about and if nothing else it gives me alternatives if anything really bad happens. 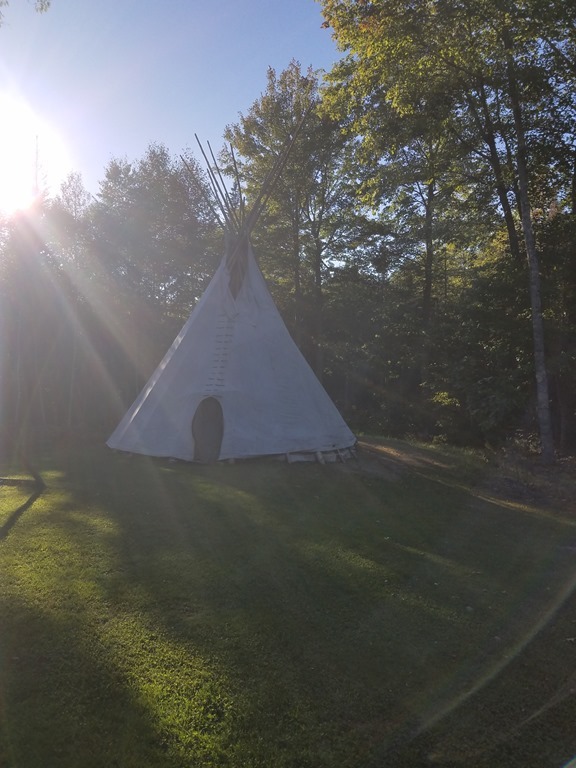 Today I’m sitting in my Tipi (mid-September 2018) and I looked around and thought, “I wonder what it would be like if I had to live in one of these full time?” Granted it would have to be a pretty bad event if it led to my living in a tipi, but let’s skip over that detail for now and get down to it. These structures were first created by the plains Indians of the United States and served their mobile lifestyle perfectly. To be fair there have been other peoples who’ve made similar structures, but the true tipi was made in the USA. They are reasonably warm in the winter, keep you dry in the rain, keep the wind out, and can be rolled up in the summer allowing a breeze to blow through it keeping it cool inside. Smoke flaps at the top can be manipulated so that it creates a vacuum that pulls smoke from an open fire and keeps the inside warm and smokeless. A liner inside helps keep the heat in and when it’s raining also helps to keep water from dripping on you. It’s reasonably easy to take a tipi down, move it, then reassemble somewhere else, which is one of the reasons why it was the shelter of choice for the nomadic plains Indians. I say reasonably because it’s still a hell of a lot of work compared to today’s tents and campers. So having said all this would you want to live in one if something happened to civilization? Much of the answer depends on how comfortable you are living close to the Earth. I’ve spent many a night in my tipi and love it out here. I actually have two now, one in my back yard and one out in the woods where I do my “real” camping. The one in my yard is quite large – 22 feet inside and can easily hold five or six people around a fire pit situated in the middle. The tipi in the woods is about 14 feet and much smaller inside. It can hold two or three people comfortably. This tipi I like to close and have a small woodstove inside with the stove pipe jutting out of the closed off smoke hole at the top. In the winter the inside temperature can be as warm as 70 degrees with the stove going and I use it to heat, cook and make coffee in my percolator. It can get pretty brisk when you wake up in the morning, but once the stove is going and the bacon is sizzling it’s all worth while. There’s no rushing breakfast in a tipi. You just have to wait until the food is ready. If you need to heat it up again put it back on the stove. No microwaves available. These shelters were designed without the idea of electricity or any of our modern conveniences in mind so if TSHTF and the grid was down it would make a reasonable shelter. Hell, our ancestors lived in them their whole lives and did ok, so we could too if we had to. There are some things you can do that will allow the screen addict to get a little time in. I have a small solar panel that makes it possible to charge a phone and other small gizmos if you’re so inclined. When I’m out in the woods I like to play music on my phone, but that’s about all I use it for. I love the silence, but sometimes it’s nice to play a few tunes. This is rustic camping at its finest. A tipi is open to bugs and little animals that can get in and can cause misery during certain times of the year. My uncle has a tipi where he lives in Canada and one year he had problems with black bears, which just tore through the side of the tipi to get in. So there’s that. They’re a great place to escape the modern world. Once you’re in a tipi things get very simple. You need wood for the fire, food and water, and something to do. I like to practice other skills like making bow drills, wooden spoons, and all kinds of other stuff. It’s relaxing and allows your brain to work on something else other than work, world problems, home issues, or what have you. Anybody else out there have a tipi or other primitive shelter they stay in? Let me know in the comments below. then the large tipi is where it’s at. Lol. 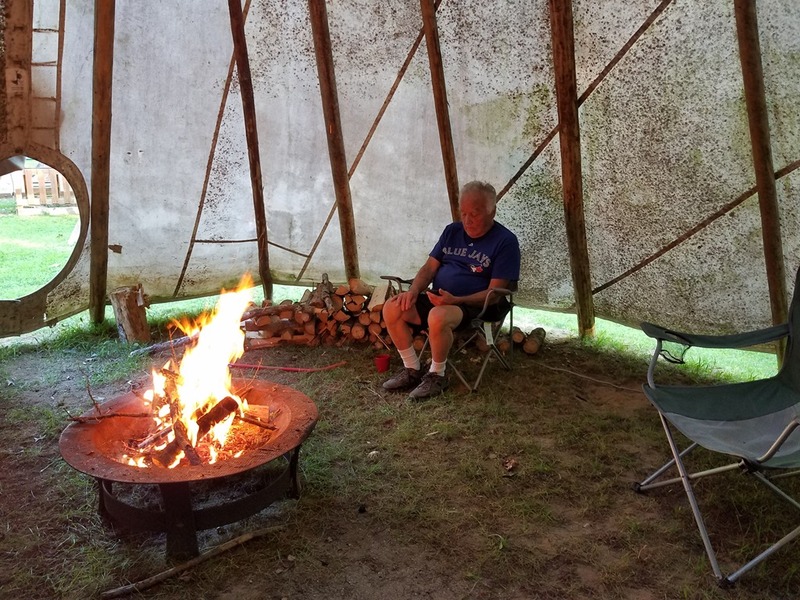 I really don’t expect to be spending much time in a tipi if TSHTF; however, it does give a good insight into how my ancestors lived. Pretty amazing people. Hey Jarhead, just rediscovered your site. I have tipi envy. Some friends of mine have one they use for educating kids at their horse camp, like you said once you step inside it changes you. My favorite tents are tipi style floorless units. It is about 5 outside right now at 8500′, I’m enjoying my wood house and wood stove. Skol! Nice to hear from you Pineslayer!